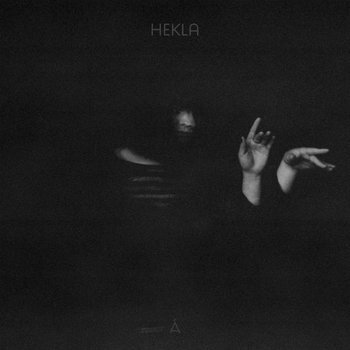 Hekla's music exists singularly. A one-off talent, emerging from no particular scene, ascribing to no particular rules. As a creative tool, the theremin - bizarre, unique, and rarely heard - can be expressive, intuitive and highly adaptable. In Hekla's hands, her instrument covers an enormous range, from skittering birdsong of high frequency chirrups and chirps, to grinding, tectonic sub-bass. We are given the throbbing, apocalyptic dread of "Muddle" and the baroque beauty of traditional Icelandic hymn "Heyr Himna Smi∂ur" in sequential tracks on the album's A-Side. Appropriately, she also writes that the album title - Á - is similarly multifaceted in her native Icelandic: "a river is an á and also it means ouch like when you hurt yourself, and also when you put something on top of something you put it á (on) something."